Every so often I retreat to the KZN Midlands to reset my mind and detox my soul. I have always LOVED visiting the Midlands, and as a coffee shop blogger I love it even more now that there are some absolutely phenomenal coffee shops along the Midlands Meander. To me there is nothing better then sipping on a cup of coffee with a view out over the farmlands, surrounded by friendly people and misty rolling hills. Ok it’s not always misty but when it is there is a mystical magic to the Midlands. These are some of my favourite coffee shops in the Midlands, all serving specialty coffee. 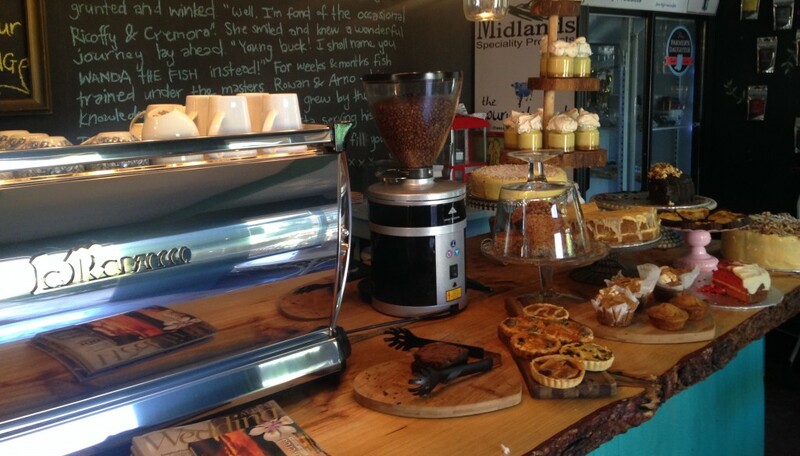 Serving Colombo Coffee and tasty baked treats, Wanda’s Cafe is located in the garden of The Farmer’s Daughter. Well known for their delicious lemon meringue in a jar, Jen and her team at The Farmer’s Daughter have also struck gold with their barista Wanda. Stop in at Wanda’s Cafe on the R103, at The Patchwood Elephant. 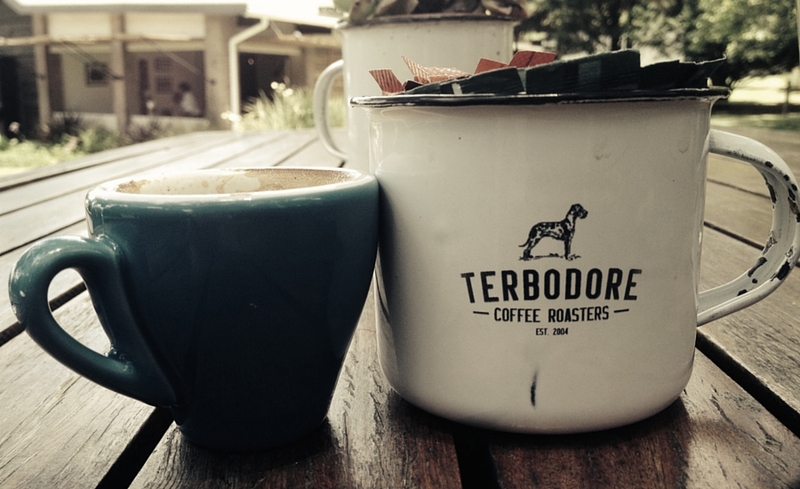 Terbodore Coffee Roasters set the bar high in the Midlands. I remember when we would stay in the Midlands and the only place to grab a cup of specialty coffee was at Terbodore. Established in 2004, Terbodore now also have a roastery in the Western Cape. Roasting on site Terbodore Coffee is a real coffee experience. They serve a number of medium to dark roast coffees and as you step out your car you will succumb to the smell of their caramel and french vanilla coffee as well. It’s enough to make you leave with more than one bag of coffee beans. You can find Terbodore Coffee Roasters at 87 Old Main Road, Curry’s Post. Like Terbodore Coffee Roasters on Facebook. 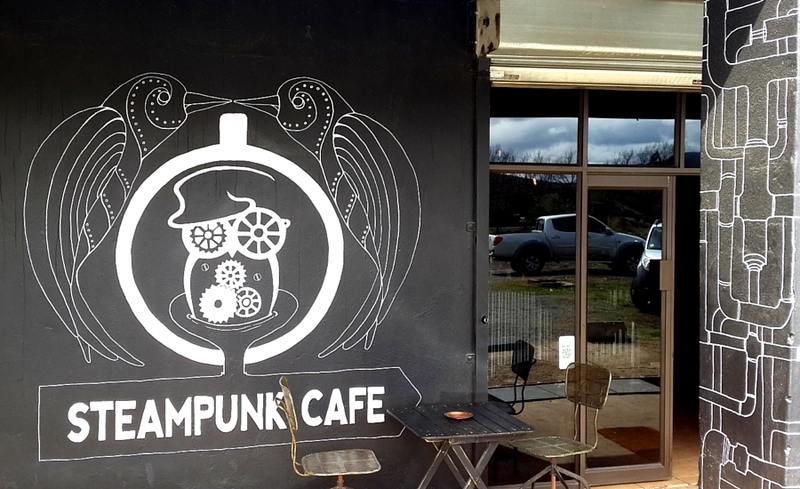 Steampunk Cafe is the most recent addition to the Midlands Meander coffee scene. Steampunk Cafe started out as a basic coffee shop/pit stop on the R103 and has, as of late, added a roastery on to the side of their coffee shop. Owner Michael Goddard is a passionate and humble coffee lover who desires to serve the community with great tasting coffee. You can find Steampunk Cafe at the Token’s Garage on the R103. Let me just say that I was elated to learn that Blueberry Cafe have hired a Durban trained barista, who is roasting coffee solely for Blueberry Cafe. I love this cafe, the view is like no other and coupled with a trained barista and delicious specialty coffee, this coffee shop may soon become a regular hangout. Might I add that their blueberry cheesecake is OUT OF THIS WORLD good! Trust me on this one. 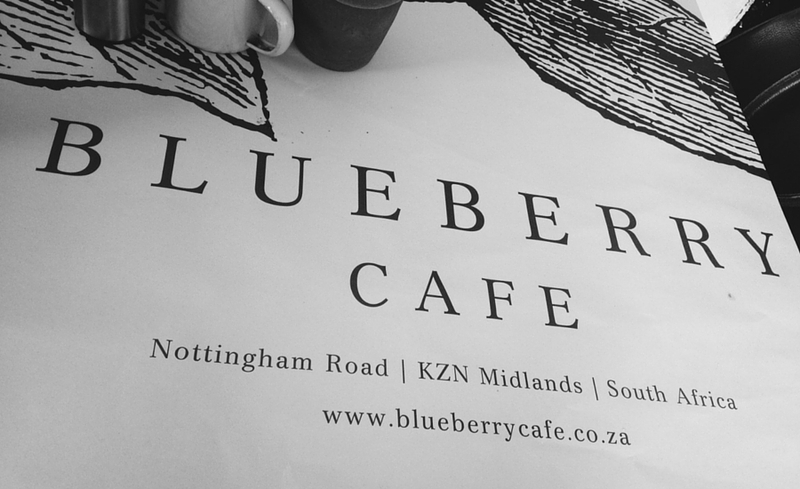 You can find Blueberry Cafe in Nottingham Road at Blueberry Hill. Those are my top coffee shops along the Midlands Meander, and I am so aware that there may be others that you have visited and that’s awesome. Please comment below and let me know where those are. I may have already been there and just because it’s not a favourite of mine doesn’t mean it’s not good. I am also so aware that there are AMAZING cafes all over the Midlands Meander, however what differentiates the spots listed above is that they are serving specialty coffee. Take a trip to the Midlands and do yourself a favour by stopping off at any of these coffee shops along the Midlands Meander.